Well-made T-slot bolts can make the difference between a jig that is a pleasure to use, and one that is downright frustrating. These T-bolts have smooth, clean threads for spin-on, spin-off ease when making adjustments to your woodworking jigs and fixtures. 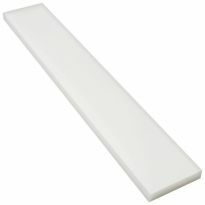 They have a smooth finish and rounded corners that make it easy to slide your T-slot stops to the mark without binding. 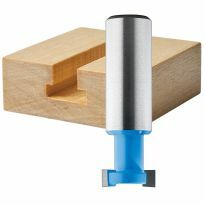 Use them with our aluminum T-tracks or machine your own wooden T-tracks with our T-slot Router Bit (#26099, sold separately). 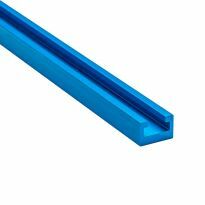 Lengths range from 1" to 3-1/2" (see below for selection). Lengths from 1" to 3-1/2"
Used on home made table saw sled. I looked all around where I live and could not find these long T bolts . Thank you they were just what I was looking for. These are a bit pricey (@ reg price), but the quality and finish is excellent. Spin on a knob, spin off a knob . . . never an issue, so easy that you forget about them . . . until you return to your past jigs that were made with hex head bolts that you never got around to upgrading. Much better than basin bolts too. 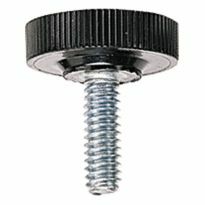 These work very well in Rockler's T-track -- better than other types of bolts that are sometimes suggested. And I haven't found them available elsewhere. The sources are getting fewer and the bolts are just right for my jigs with T-Tracks. 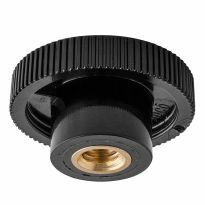 By purchasing the through knobs I can make a jig with knob and toilet bolt that works easily with one hand. Very nice bolts, but I found out they will not work in my R-4510 table saw T-slots. They are too small. I wish somebody would have told me. Pleasantly surprised...ordered T-slot bolts, T-tracks, knobs and hold-down clamps. Backorder message said that part of the order wouldn't be available until April. However the entire order was shipped within two days! Good stuff, good service. Clean threads and consistent head dimensions. Smooth finish on the plating. What more could you ask for? The 1/4&quot; T-bolts do not fit in Incra or Woodpeckers 1/4&quot; T-track. 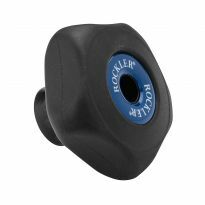 Unless you have the Rockler track, do not get them. I purchased these bolts for a router table I made. The t-track used was made by Incra. Unfortunately these bolts don't fit an Incra track. They are too wide. I will have to grind the edges of the bolt heads to make them work. These bolts are supposed to be universal, but it doesn't seem that way. T-bolts too small for my PM2000 miter slots and too large for the miter gauge fence slots and router table fence slots! Needed to secure jig parts. They will fit t track I ordered. 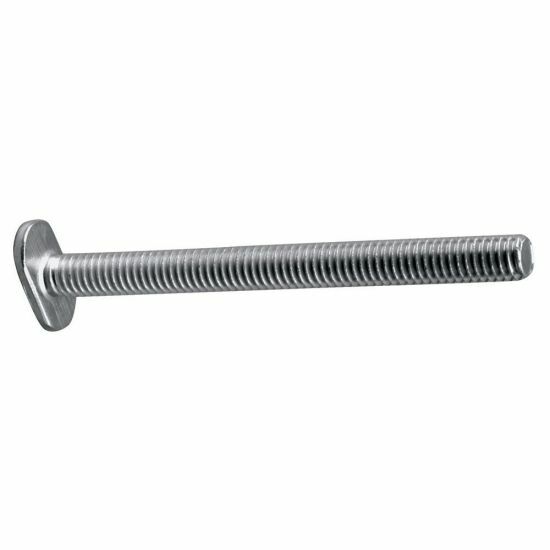 These are very useful and high quality bolts that have handled factory like jig use for years before needing to be replaced. I needed them and couldn't find them Locally. The heads guide much better on the aluminum t-tracks than other brand t-bolts. Because I didn't get the right bolts from the beginning.....that's upsetting. I needed them and can't buy local. I needed strong threads with extra length. box joint jig, stumpy nubs. to fix a router table I inherited. they are the bolt to adjust the fence. The right size for my need of t-slots. I am building a drill press jig. Didn't want to go hunting at Hardware store for this bolt. Needed to finish a jig. I'm making a table for my bench drill press to help in the production of small wood products for kitchen use. 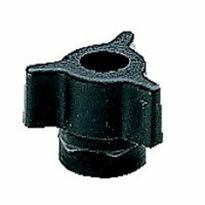 These work much better than regular nuts since they don't turn while in the T-slot and you don't have to waste time grinding down the sides of carriage bolt. to simplify adjusting the fence on my router table. I am building a drill press table and this will be a part of my design. The t-slot bolt that came with the Rockler t-slot clamp was too short - so I bought these. how thick is the head of the T bolt? 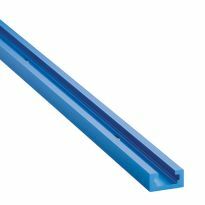 Are these compatible with Kreg tracks? BEST ANSWER: Sorry but I don't have any Kreg tracks. If other pieces will work interchangeably I'm sure these would too.